Hi, look where we are!!! In England for The Great British Bake Off once again! 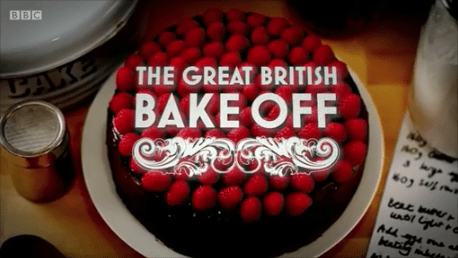 I recapped season 7, then pout-flounced for a year when they moved to Channel 4 (okay I was suuuuuper busy) and now I'm back to drool over cakes, cookies and many, many enameled appliances. Who's with me?? Hi guys! 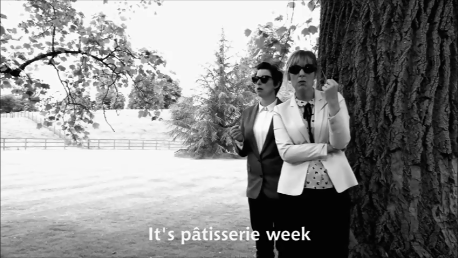 Welcome back to the Great British Bakeoff! I'm trying to gin up some enthusiasm, but Tudor Week sounds....it's gonna be fun, right? Right? Thanks once again to my friends Violet, PL and JS who recommended this show for recapping and / or read it and give me feedback. And help with access. So! very! awesome! Rolling GBBO Tudor Week (?) after the break!